Nothing like a last-minute wedding shake-up! It's official: Prince Charles will now be walking Meghan Markle down the aisle! One day after Markle confirmed her father would no longer attend her wedding to Prince Harry Saturday, Kensington Palace issued a statement saying the groom's own father will now be taking on the job. "Ms. Meghan Markle has asked His Royal Highness The Prince of Wales to accompany her down the aisle," the statement, which was released Friday morning, read. "The Prince of Wales is pleased to be able to welcome Ms. Markle to The Royal Family in this way." 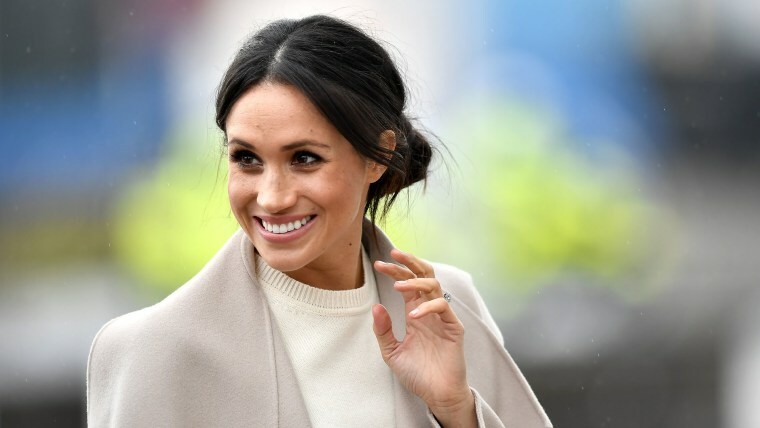 Markle will initially be unescorted when she starts her walk down the aisle, accompanied only by her young bridesmaids and page boys. She will then join up with her future father-in-law, who will walk Markle down to the foot of the altar. Charles has two sons, Prince William and Harry, so the opportunity to walk a bride down the aisle appears to be a new one for the 69-year-old. The palace announced weeks ago that Markle's father, Thomas, would attend the ceremony, but it was largely speculated this week that would no longer be case after he reportedly staged a series of paparazzi shots and then had an apparent heart attack. "Sadly, my father will not be attending our wedding. I have always cared for my father and hope he can be given the space he needs to focus on his health,” the bride-to-be said in a statement Thursday.